It's easy to forget that space related activities sometimes do occur even at our government funded space agency, especially given the dearth of obvious updates on the Canadian Space Agency (CSA) website. According to the September 27th, 2011 Space Daily article "NASA Partners Uncover New Hypothesis On Crater Debris," Canadian researchers led by Dr. Gordon Osinski at the University of Western Ontario (UWO) have developed "a new hypothesis for the origin of crater ejecta-debris that is launched out of a crater during meteorite impacts." According to the article, "these findings may help scientists target samples for extraction during future missions to asteroids and terrestrial bodies such as Mercury, Venus, the Moon and Mars." The research was supported by the Industrial Research Chair in Planetary Geology at UWO (a position held by Osinski) and funded by the Natural Sciences and Engineering Research Council of Canada (NSERC), MacDonald Dettwiler (MDA) and the CSA. 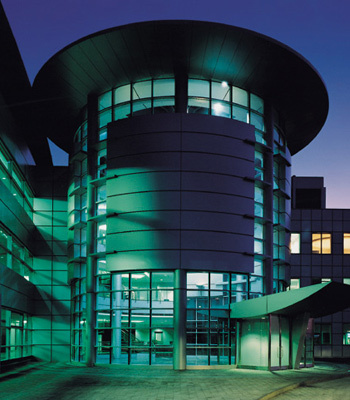 The CSA Workshop on the Utilization of Field Programmable Gate Arrays (FPGA's) in Canadian Space Missions is being held at CSA headquarters in the John H. Chapman Space Centre in St-Hubert, Quebec from September 27th - 28th. Speakers for the two day event include Avrum Warshawsky from Hardent Electronic Design Services (which promoted involvement as per the September 22nd, 2011 PRWeb press release "Hardent to Deliver an FPGA Design Workshop at the Upcoming Canadian Space Agency FPGA Conference"), Walter Gude from Mentor Graphics, George Battiston, Luc Gagnon and Dave Hiemstra from MDA, James Veilleux from ABB Bomem and quite a number of others. Field-programmable gate arrays (FPGA) are integrated circuits designed to be configured by the customer or designer after manufacturing, according to Wikipedia. CSA president Steve MacLean was in Deippe, New Brunswick last week providing details of what he foresees as being Canada's space future, according to the September 23rd, 2011 New Brunswick Business Journal article "Satellite technology holds big potential: Space agency head." MacLean, speaking at a French Chamber of Commerce in Canada luncheon marking their 125th anniversary, said that improvements in satellite technology hold the secrets to "opening up the Canadian north" in much the same way as the railroads opened up the south of Canada in the 19th century. 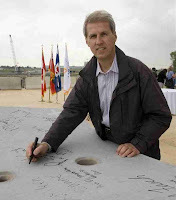 The use of satellites and space technology to leverage infrastructure development has been an ongoing talking point for MacLean over the last year or so, going back at least as far as his March 2nd, 2011 "this Week in Space for Canada" interview on "Growth in Space Utilization to Benefit Canadians." Given the above, it's worth noting that Canadian astronomers seem to be doing admirable work cataloging the heavens, even as the delays and cost overruns surrounding the James Webb Space Telescope (JWST) seem to keep growing and growing (and try not to take too seriously the statement on the CSA JWST page, which reports the telescope as being "slated for launch in 2014." That just ain't gonna happen as reported in my July 12th, 2011 post "Tracking Costs for the James Webb Telescope"). 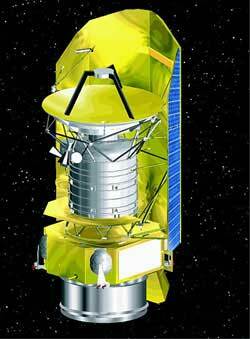 Useful, ongoing CSA supported astronomy programs include the Herschel Space Observatory (a European Space Agency observatory launched in 2009 with Canadian contributions to the development of two of the three science instruments carried aboard) and the Planck Space Telescope (another ESA project, launched with the Herschell Space Observatory in 2009). The very frugal Jaymie Matthews. Of course, there is also the all Canadian and very low cost Microvariability and Oscillations of Stars (MOST) satellite. Developed in partnership between the CSA, Dynacon Enterprises Limited, the Space Flight Laboratory (SFL) at the University of Toronto Institute for Aerospace Studies, and the University of British Columbia (UBC). 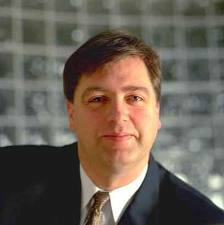 The MOST program has been functioning almost continuously since 2003 under the capable leadership of UBC principal investigator Jamie Mathews but still manages to use very little Canadian taxpayer money. Other useful CSA programs include the Project for On board Autonomy (PROBA-2) mission, the Soil Moisture Ocean Salinity (SMOS) satellite (both done in conjunction with the ESA) and the THEMIS program (in conjunction with the University of Calgary and NASA). Of course, any listing of CSA supported satellites also needs to include the Polar Communications and Weather (PCW) mission scheduled to put two satellites in a highly elliptical orbit over the North Pole for 24/7 communication services and weather monitoring in 2016, plus the iconic RADARSAT-1, RADARSAT-2 and upcoming RADARSAT Constellation series of three satellites scheduled for launch in 2014/ 2015, the Canadian SCISAT-1 satellite and quite a few others. A full listing of existing and upcoming CSA satellites is on the CSA satellite page. It's so comprehensive, that there are even listings for commercial telecommunications satellites operated by Telesat and no longer operational CSA satellites. As mentioned once before, in my August 8th, 2011 post on the same topic, there are lots of other fun and fascinating things going on at our space agency and we should be encouraging the CSA to talk more about them. Canadian Aerospace Heritage or Hockey Rink? The future of a Canadian heritage building, once the worldwide HQ and primary manufacturing facility for de Havilland Aircraft of Canada during a golden age of Canadian aviation and now home to museum exhibits chronicling that era, will likely be decided during two raucous public meetings over the next few days. According to the September 18th, 2011 CTV Toronto News report "Canadian Air and Space Museum handed eviction notice," the present Downsview, Ontario residence for countless pieces of Canadian aeronautical and space focused memorabilia might need to find a new home. Both the Canadian Air & Space Museum (CASM) and its landlord Parc Downsview Park (the Canadian crown corporation established to develop and maintain the land the museum is located on) have scheduled public meetings over the next few days where the issue will likely be discussed. The CASM meeting is scheduled for Saturday morning September 24th at the museum according to the main page on the CASM website and the Downsview Park annual public meeting is scheduled for Monday September 26th, according to this link on the Downsview Park website. According to David Soknacki, the Chairman of the Board at Downsview Park, the on-site facilities presently housing the CASM are "falling apart" and "badly in need of maintenance." He says the only real option is to evict the seven existing tenants (including the CASM) and accept an offer from an undisclosed outside firm to turn the facility into a "four rink ice hockey facility" which would include a $20 million CDN upgrade plus funds for maintenance and building renovations. In a phone interview earlier today, Soknacki said "Neither the museum or any of the other tenants is in a position to offer up $20Mln CDN for the required renovation so we had to look at outside offers." But a listing of museum sponsors from the CASM website includes the Ontario Trillium Foundation, Air Canada, the J. Amand Bombardier Foundation and most of the largest of the current crop of Canadian aerospace companies including Bombardier, Pratt & Whitney Canada, MacDonald Dettwiler (MDA) and others who could certainly be expected to contribute substantial funds to any museum renovation effort. According to Robert Godwin, the publisher/editor for Apogee Books and the space curator at the CASM, the museum board of directors wasn't even made aware of the situation until after the eviction notice had been served. In a phone interview, Godwin stated that the previous museum board of directors renegotiated their rental agreement with Downsview Park approximately two years ago, when the CASM went from paying "almost no money whatsoever" to paying $15,000 per month. The existing board then resigned and the new board ended up $100,000 in debt (over six months behind) before developing a plan to bring the rent current. The new board finally managed to send out their first payment on the outstanding principle (22K covering the 15K monthly rent and 7K extra on the outstanding 100K) last week, but the check was refused by Downsview Park and the museum then received it's eviction notice. The next day, six other tenants in the same building at Downsview Park also received their notices. According to Godwin, tenants have six months to move and nothing has been dumped into the parking lot (at least so far) but the locks have been changed and access to the building is presently restricted. According to Soknacki, the locks were changed as a legal requirement to ensure possession of the building after the six month eviction period concludes and tenants will have full access to the building to remove possessions. The CASM presently hosts a number of meetings each month for local organizations including the Canadian Space Society (CSS), a national non-profit organization looking to stimulate the Canadian space industry and promote the involvement of Canadians in the development of space. Jerry Zucker (1949 - 2008). Oddly enough, an unnamed source has indicated that the corporation intending to build the hockey facility is The Intertec Group of South Carolina, a diversified aerospace and chemical conglomerate headed by the Jerry Zucker family, which is one of the largest privately held companies in the United States. According to the source, Intertec owns Buckingham Sports Properties, which is said to have fronted the current bid. Buckingham presently operates the Future Stars Arena Elite Ice Hockey training facilities. It's public knowledge that Intertec once also owned and operated the Canadian based Hudsons Bay Company (HBC). After Zuckers death in 2008, his wife Anita became the first female governor of HBC in its 338 year history. According to the July 16th, 2008 press release on the CNW Group website titled "The InterTech Group announces sale of Hudson's Bay Company to NRDC" the firm sold its HBC shares in 2008. It's also worth noting that one of those artifacts displayed at the museum is a full sized model of the Avro Canada CF-105 Arrow fighter plane. With a length of 77 ft 9 in (23.71 m), a wingspan of 50 ft (15.24 m) and a height of 20 ft 6 in (6.25 m), there is likely no other place in the country large enough to house the model and transportation costs will likely be onerous to move it anywhere should the museum close. Not long after the 1958 start of its flight test program, the development of the Arrow (including its Orenda Iroquois jet engines) was abruptly and controversially halted before the project review had taken place, sparking a long and bitter political debate. The controversy engendered by the cancellation and subsequent destruction of the aircraft in production, remains a topic for debate among historians, political observers and industry pundits. "This action effectively put Avro out of business and its highly skilled engineering and production personnel scattered... The incident was a traumatic one... and to this day, many mourn the loss of the Arrow. The video below gives a little bit of the background and history of the Arrow. The last thing the CASM might need to do before closing down the museum facility might just be be to hold a press conference so that the public can see the CF-105 model cut up, in pretty much the same way as the actual Arrow was destroyed, all those many years ago and by an earlier government. Godwin thinks it would make great TV. 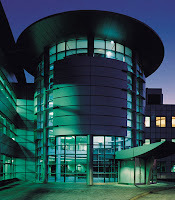 The promotional literature called it a chance to "redefine horizons" but the true purpose of the 2011 Canadian Aeronautics and Space Institute (CASI) Canadian Student Summit on Aerospace (CSSA) was to showcase opportunities for engineering students embarking on careers in aeronautics, avionics and space. The two day event, an annual initiative of small groups of engineering students at various campuses across the country (with financial and logistical support provided by CASI) was held September 16th and 17th, at the Ryerson University Toronto campus. Approximately 100 people were in attendance to listen to presentations from industry experts like LCol Luc Sabourin (the commanding officer of the Canadian Forces 1st Air Maintenance Squadron of 4th Wing at CFB Cold Lake), Dr. Jason V. Lassaline (the assistant chair of aerospace engineering at Ryerson), Edward Hoskin (the VP of the Mississauga turbofan engine plant for Pratt and Whitney Canada), Dr. Danya Hudson (the technical lead for the Quantum micro-satellite mission at COM DEV International) and others talk about their career choices. According to Karisma Rego, the co-chair for the 2011 organizing committee, "we wanted to have a room where people actually doing the jobs we are being trained for could answer our questions about those positions and their requirements." Rego, a fourth year Ryerson engineering student, credits her success at organizing the event to the mentoring of Alex Tsoulis, the Director of Structures Design at EXMD Airframe Corporation who is also a CASI member. 2011 co-chair Navreet Saini (also a fourth year engineering student at Ryerson), echoed the sentiments. Tsoulis was the "main support base for everything we did and all we organized. 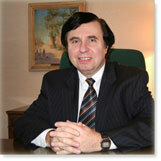 He was very helpful and always available when we had questions or concerns" according to Saini. The two had participated at previous CSSA events, most recently the 2010 Canadian Student Summit on Aerospace which was held at McGill University in Montreal. 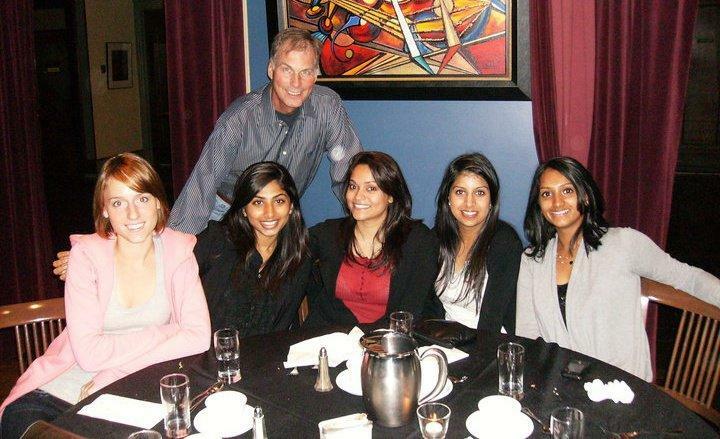 CASI Executive Director Geoffrey Languedoc (top row) with Alexandra Blagojevic, Shruti Desai, Karisma Rego, Navreet Saini and Harita Mehta at the 2010 CSSA dinner in Montreal. For the first time, registered attendees were also offered a plant tour of their choice to either the nearby Bombardier Aerospace or the local Pratt and Whitney Canada facilities. But it's also worth noting that CASI corporate partners, who include companies like ABB, Bombardier, EADS Astrium, Magellan Aerospace and others might have an ulterior motive for sponsoring and encouraging events such as this. According to Pratt & Whitney VP Edward Hoskin, approximately half of Canada's existing aerospace engineers will reach retirement age within the next 5-10 years and Canadian companies must soon begin the mad scramble to replace them. Oхуел Russian Rockets, Telesat Sale Nyet, Quebec Astronaut Finds NEMO and NASA Tabarnac! 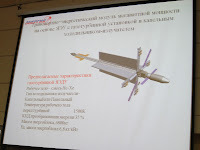 Power-point of proposed Russian nuclear rocket. The only Canadian connection for our first story is a September 9th, 2011 tweet by astronaut Chris Hadfield (@Cmdr_Hadfield) showing a slide from a power-point presentation, but the real genesis of the proposed Russian nuclear powered spacecraft goes back farther than most casual readers would ever suspect. According to the October 30th, 2009 Daily Mail Online article "Russian space agency plan to build NUCLEAR space rocket" ex-Russian astronaut AnatolyPerminov, who was then the head of the Russian Federal Space Agency (ROSCOSMOS), told the Russian government in 2009 that the preliminary design could be ready by 2012, would take nine years to complete and should cost £363million to build. According to Perminov, "The implementation of this project will allow us to reach a new technological level surpassing foreign developments." 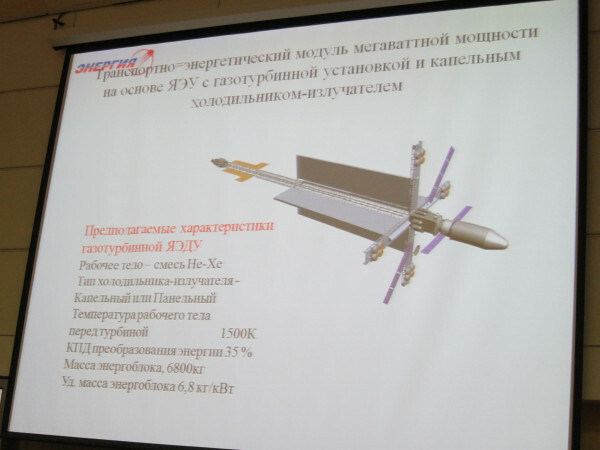 It will be interesting to see what ROSCOSMOS comes up with, how the project compares to the US projects recently funded as per the September 13th, 2011 NASA press release "NASA Selects Companies To Study Solar Electric Propulsion Spacecraft" and whether the Russian project ever receives full funding. The bulk of the design work is expected to be done through the RKK Energiya corporation. The September 16th, 2011 Bloomberg article "Satellite Chiefs Stuck With Mere Partnerships as Politics Slow M&A Deals" quotes Telesat Chief Executive Officer Daniel Goldberg as stating that "security and regulatory issues, are an impediment and a barrier to consolidation” of satellite operators. It's quite likely that Goldberg was referring (at least tangentially) to efforts to sell the Canadian telecom icon as outlined most recently in my July 19th, 2011 post "MDA Issues, CSA Advocacy, Telesat Unsold and Growing Media Curiosity." The September 14th, 2011 Bloomberg article "Telesat Chief Considers Paying Special Dividend After Sale Talks Ended" stated explicitly that the expected sale of the company has finally fallen through after offers from EchoStar Corp. (SATS) and The Carlyle Group collapsed earlier in the year. 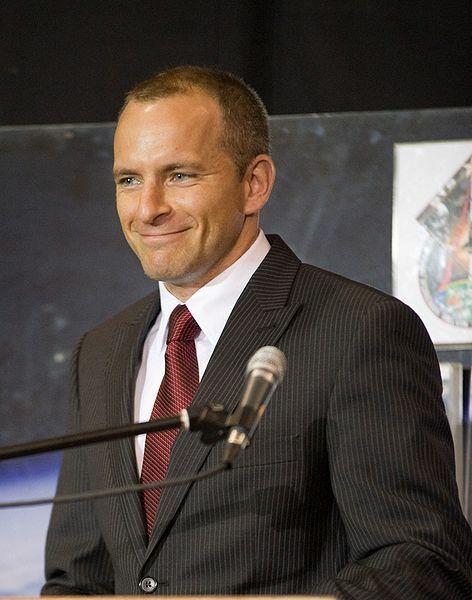 Meanwhile, back at the Canadian Space Agency (CSA) new astronaut David Saint-Jacques has just been officially given his first mission as a full time astronaut. 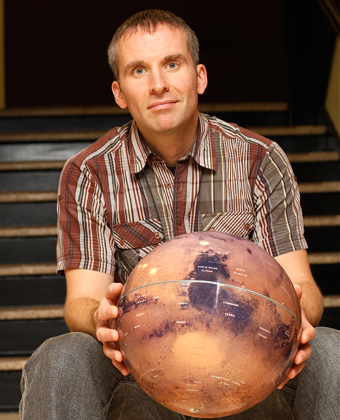 According to the September 17th, 2011 Montreal Gazette article "Quebec astronaut given first mission" the Quebec City native has just been assigned to take part in the NASA Extreme Environment Mission Operations (NEMO) mission 15 on board the Aquarius underwater laboratory, scheduled to begin on Oct. 17th. Saint-Jacques and fellow CSA astronaut Jeremy Hansen only recently completed their two year astronaut basic training course at NASA's Johnson Space Center in Houston, according to the September 12th, 2011 Spaceref.ca article "New Canadian Astronauts Complete Basic Training" but NEMO assignments are highly prized among the astronaut corps and normally perceived as being the fast track to future space missions and assignments aboard the International Space Station (ISS). 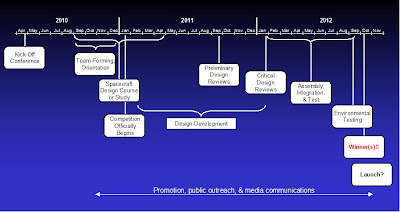 Of course, the above is assuming that the US based National Aeronautics and Space Agency (NASA) gets it's funding in order and finishes up its "dance of death" with the US Congress, the Senate and quite the variety of other domestic and international organizations over jobs for existing NASA contractors, budgeting and future priorities.The battle is still ongoing across numerous fronts with the September 18th, 2011 Universe Today article "SpaceX to Dock With ISS on Next Flight: NASA Maybe – Russia Nyet" suggesting that Space Exploration Technologies (Space-X) doesn't yet have permission to dock the Dragon spacecraft later this year at the ISS as officially planned and the September 17th Florida Today article "NASA alters commercial spacecraft partnering" indicating that NASA has decided to "abandon the type of agreements that have guided the low-cost development of vehicles to deliver cargo to the station next year, as well as the first two rounds of funding for crew taxis" as only the two most recent examples to contemplate. Both stories suggest that Canadian astronauts waiting for NASA rides into orbit might not want to hold their breath in anticipation of their launch dates being announced. The ISS crew compliment was recently reduced from six to three and will remain that way until at least November 2011. For those who've listened to the video above and want a more realistic appraisal of the proposed NASA space launch system and how it connects and impacts upon the much lower cost but directly competitive Commercial Crew Development (CCDev) program (at least in the eyes of the US lawmakers), its worth checking out the comments of the September 16th, 2011 Space Politics post "Details on the Senate’s NASA budget." In the words of several of my illustrious and esteemed Quebec colleagues, "Tabarnac!" 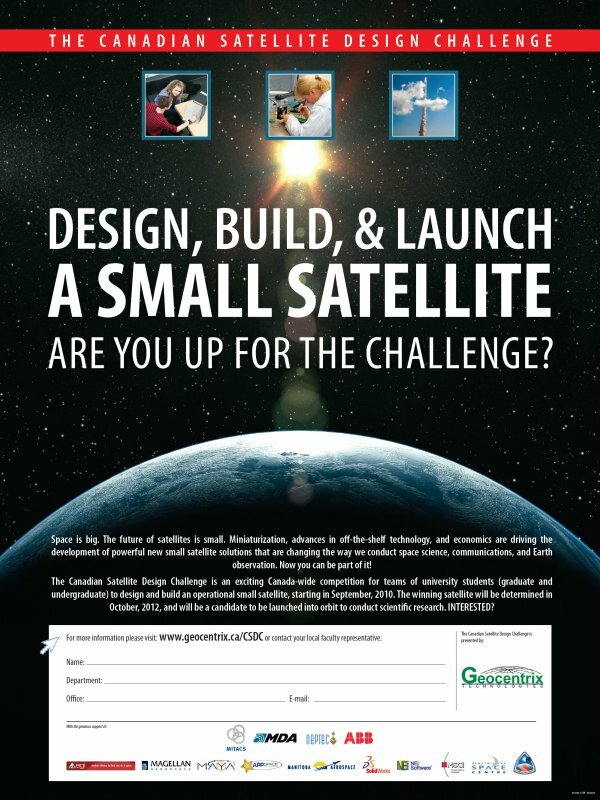 It's fall, school is back in session and the twelve teams participating in the Canadian Satellite Design Challenge (CSDC) will soon begin preparations for their preliminary design review. Twelve teams from the University of Victoria, the University of British Columbia, the University of Alberta in Edmonton, the University of Saskatchewan in Saskatoon, the University of Manitoba in Winnipeg, York University in Toronto, the University of Waterloo, Carleton University in Ottawa, Queen's University in Kingston, the Royal Military College of Canada, Concordia University in Montreal and Dalhousie University in Halifax are competing for the opportunity to design, build and orbit a low-cost operational small satellite, using commercially-available and "off-the-shelf" components. Competing teams will have their completed satellites undergo full launch and space environment qualification with the ultimate goal of launching the winning satellite into orbit to conduct science research. But while the winner will be announced in October 2012, the current key deliverable is that preliminary review. The teams begin with a statement of the science mission their satellite with conduct, then outline the design of their satellite and demonstrate how it will achieve their mission’s goals, as well as the other technical requirements of the competition. The designs will be reviewed by a team of experienced space mission professionals from across Canada. The review comments will be returned to the teams to help them refine the design and perform further analyses. The overall objectives of the program include fostering innovation in satellite technologies, encouraging inexpensive access to space and creating a bridge between students and Canadian space industry for future collaboration and employment opportunities. The CSDC estimate schedule of milestones and activities. Contest sponsors include a cross section of Canadian space focused firms including MITACS, MacDonald Dettwiller (MDA,) Microsat Systems Canada, Neptec Design Group, ABB Canada, Magellan Aerospace, AppSpace Solutions, Analytical Graphics, Manitoba Aerospace, NEI Software, the Canadian Space Society and quite a few others. Analytical Graphics has also offered its Satellite Toolkit (STK) software package for satellite mission modelling, analysis, and visualisation software for use in the competition and software developer Solidworks Corporation has provided SolidWorks 3D design, simulation, and engineering analysis software to the competing teams. Others have also come forward with assistance, including NEi Software (which offered up copies of NE NASTRAN advanced finite element Analysis software for competing teams) and Maya Heat Transfer Technologies (which provided copies of the FEMAP & FEMAP-TMG heat transfer simulation and analysis software). No doubt other companies will also come forward as the competition moves into the final phase in 2012. 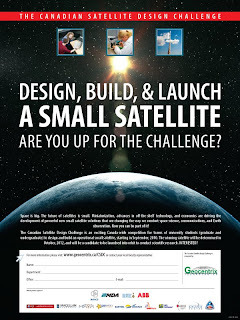 As originally discussed in my September 26th, 2010 post "Canadian Companies Sponsor Satellite Designers" the CSDC was originally developed by Richmond, BC based Geocentrix Technologies Ltd in partnership with the Canadian Aeronautics and Space Institute (CASI). Advocates for the creation of an updated and comprehensive Federal government strategy relating to space activities have been bolstered recently by several public comments from national and international sources indicating that the lack of appropriate policy is eroding the international competitive capabilities of Canadian space systems firms. And some of those public comments don't just mention vague future strategies. Several mention specific instances of government contracts being stretched out and postponed to the point where subcontractors have difficulty maintaining expertise in-house. The 2011 Space Competitiveness Index. Most recent is the September 10th, 2011 Canadian Press (CP) article "India overtakes Canada in space competitiveness: report" which discusses the 2011 Futron 2011 Space Competitiveness Index, a yearly ranking of the underlying government, human capital and industry drivers of aerospace competitiveness and compares how countries invest in and benefit from the space industry. The index (now in its fourth year) has dropped its estimate of Canadian competitiveness from sixth to seventh behind growing space powerhouse India, which is slowly moving up the rankings. The index also states that Canada is also losing ground to other big space systems players and is being challenged hard by Brazil, China, Israel, Japan and South Korea. The United States (a longtime Canadian partner in space exploration) remains at the top of the listing, although the US score has also deteriorated in the face of this new competition. ... (Canadian) government delays in presenting a long-term space plan are offsetting Canada's competitive advantages. Com Dev CEO Mike Pley. But at least the Futron report doesn't talk about delays and hold-ups of existing projects that supposedly have the full and public support of the Federal government. The one weak point (in the Com Dev financial forecast) is civil government space work, mainly from the Canadian Space Agency (CSA). In remarks that echoed (other recent) statements by MDA Corp.of Canada, (Com Dev CEO Michael) Pley said the large Radarsat Constellation Mission, which will succeed the current Radarsat 2 radar Earth observation satellite, is almost certain to go forward. But Canadian authorities have sliced the contract awards into such small pieces that Com Dev has been unable to sustain its current work force. According to the article "the company dismissed 73 employees in the three months ending July 31, a decision that ultimately will yield about 5 million Canadian dollars in annual savings. Com Dev’s work force totaled 1,264 as of July 31." Ex-Com Dev CEO John Keating was also let go in an earlier round of layoffs in September 2010 (and replaced by Mr. Pley) after finding it difficult to accurately forecast government satellite contracts, according to the September 1st, 2010 Globe and Mail article "Com Dev replaces CEO." It's likely that more will follow. It's also worth taking a look at my May 23rd, 2011 post "Nothing to See Here! 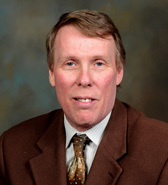 Move Along Now" which comments on recent slowdowns in the Radarsat Constellation funding from a different perspective and links to recent prime contractor Macdonald Dettwiler (MDA) comments on the issue. And a more recent article on page 10 of the September 2011 Canadian issue of Space Quarterly Magazine under the title "Thinking Big: Canada's Radarsat Constellation" attempts to put some context around these recent CSA subcontractor problems. To begin with, author James Ferguson (the Director for the Centre for Defence and Security Studies at the University of Manitoba) states that "national leadership is required to generate a comprehensive national strategy" covering space activities. But Ferguson then suggests that our present government does not possess this capability, nor does it possess the ability to make choices or concentrate enough resources into any single area (such as RADARSAT), in order to insure ongoing development of world class Canadian expertise. The inevitable result, according to Ferguson, will be a slow deterioration of Canadian capabilities into various second rate "silos" of expertise, each one hamstrung by a lack of funds and unable to compete in the international market. Only time will tell if this latest series of assessments is an accurate reading. The Canadian Space Agency (CSA) is reporting the successful replacement of a failed, high tech circuit-breaker by the Canadian made DEXTRE robot on board the International Space Station (ISS), according to the August 30th, 2011 CSA press release "Dextre, Space Electrician: Canadian Robot Repairs Components on the Space Station. The circuit breaker, called a remote power control module (RPCM) is one of 72 similar units aboard the ISS and was replaced remotely by flight controllers at the Johnson Space Center supported by engineers at CSA headquarters in Saint-Hubert, Quebec. A second RPCM is scheduled for replacement over the next few days. DEXTRE, the Special Purpose Dexterous Manipulator (SPDM). 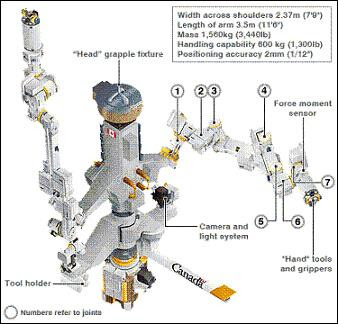 But an earlier attempt to replace the circuit breakers was unsuccessful as outlined in the July 20th, 2011 CSA press release "Dextre’s final exam postponed" when tests revealed that it would take more force than anticipated to pull out the nine-pound unit. As well, the September 30, 2010 Aviation Week article titled "Cost Cutting Cited In Dextre Commissioning Delay," reported on another failure in July 2010 when DEXTRE simply didn't have the capability to remove a failed ISS power controller. The Aviation Week article also quoted Sarmad Aziz, a CSA robotics flight controller as stating that the initial engineering analysis was based on "low-fidelity" hardware in order to save money. Whatever the reasons for the earlier failures, this most recent success will allow DEXTRE to finally move forward with its original mission, which was to replace some activities otherwise requiring spacewalks in order to save ISS astronauts time and allow them to concentrate on other activities. According to the CSA press release, the next job for DEXTRE will be to relocate two small storage pallets to the Express Logistics Carrier 4 payload platform of the ISS in preparations for future experiments. One of the pallets carries the equipment for the Robotic Refueling Mission (RRM), Dextre’s first research and development project to test the technologies and techniques necessary to refuel satellites in flight. DEXTRE was launched March 11, 2008 on the STS-123 space shuttle mission. For a more detailed analysis of recent DEXTRE activities, check out the September 4th, 2011 NASA Spaceflight.com article "Canada’s Dextre Completes Marathon Week of Robotics Ops on ISS." 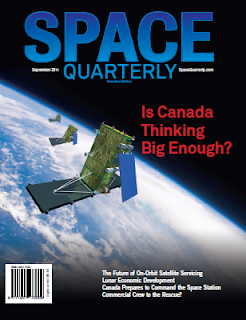 Space Quarterly Issue 1 Canadian cover. 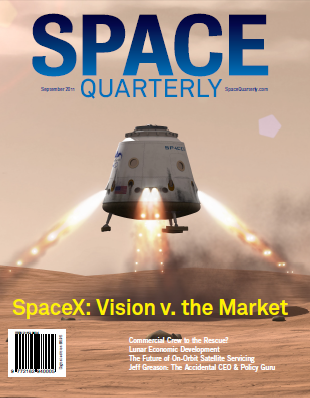 The jury is still out on whether it's just a small step for single publisher or the beginning of a giant leap for the larger publishing industry, but the first issue of Space Quarterly Magazine is now available free for download on the SpaceRef Press website. And while recent online publishing efforts have focused on print publications developing online properties, this specific effort is from an existing and successful online publisher looking to develop a print publication. 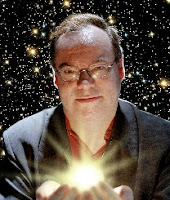 According to Editor and Publisher Marc Boucher, the focus of the magazine is on providing "greater depth, analysis and context" than is possible with SpaceRef International Group online properties such as SpaceRef.com, the Commercial Space Watch, SpaceRef.ca or even SpaceRef partner NASAWatch, each of which are focused around the concept of "Space News: As it happens." Space Quarterly Issue 1 US cover. The new publication will use a print format and quarterly publication schedule in order to give editors and writers "enough time to research and offer well thought out analysis" according to the first issue Editors message. 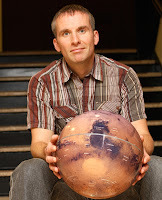 First issue authors include Canadians Chris Gainor ("CASSIOPE - A New Canadian Science and Communications Satellite") and Elizabeth Howell ("Canadian Briefs - Moving Beyond the Shuttle") plus other authors including Ken Kremer, Dennis Wingo and Paul Kallender-Umezu. Most noteworthy and informative are the contributions from Eva-Jane Lark ("The Accidental CEO: Eva-Jane Lark speaks with Jeff Greason, CEO of XCOR Aerospace") and James Ferguson ("Thinking Big: Canada's RADARSAT Constellation") so it's a shame that the second article is only appearing in the Canadian edition. Initial reviews have been muted, likely because recent attempts at magazines of this type have not been generally successful. These include NewSpace Magazine (which postponed it's June 2011 issue after news stand distribution fell short of "what is financially feasible to justify printing" according to the July 25th, 2011 Space Review article "Lost Space") and Launch Magazine, which folded its print publication in the summer of 2009. The first edition (although given away for free and lacking advertisements or any other obvious evidence of ongoing cash flow) is a useful introduction from a company with an ongoing interest in the area and the resources to make a long-term commitment to the magazine. We should encourage them to come out with another issue next quarter.